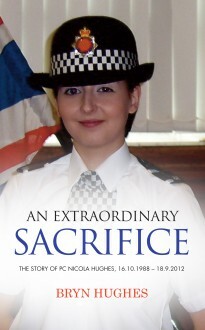 On September 18 2012, PC Nicola Hughes and her colleague PC Fiona Bone were shot dead by a psychopathic criminal called Dale Cregan who had lured the young officers to his doorstep by making a false 999 call. The crime shocked the whole of Britain. While Cregan serves life sentences for the murders with a recommendation that he should never be freed, Nicola’s father Bryn, a former prison officer, constantly relives his memories of the day he lost his daughter. To try to deal with his grief and to create a force for good from an act of evil, he has set up a charity in her name which has raised hundreds of thousands of pounds to help young people who have lost someone close through crime. The police and the people of Britain have united to help him. Now Bryn has told Nicola’s story, from the joy of her birth through to the terrible circumstances of her death at the age of just 23, as well as the challenging aftermath.